An artist that can sing is great. But an artist that can sing the National Anthem AND paint a masterpiece depicting an important event in our nation’s history? Now that takes some serious skill and talent, and this guy is one that has all of that and then some. 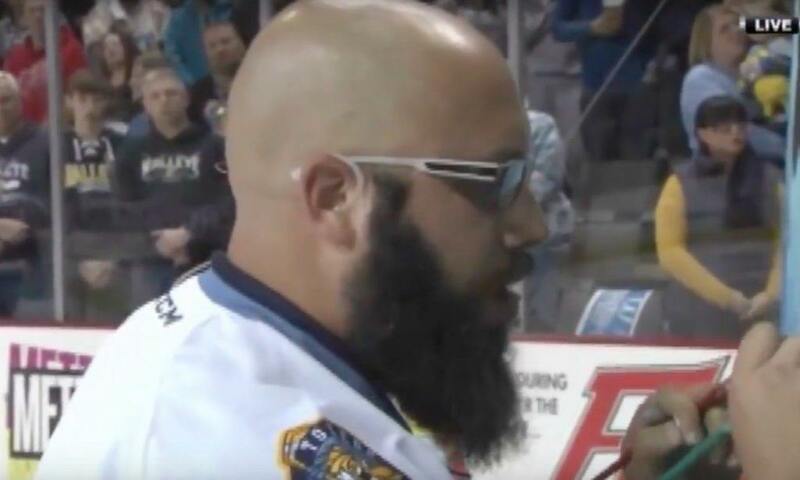 Joe Everson captivated the fans at a Toledo Walleye hockey home opener Saturday night as he sang the National Anthem all the while painting the depiction of the raising of the flag at Iwo Jima, and like clockwork, the Twitter people blew up the Internet with excitement. 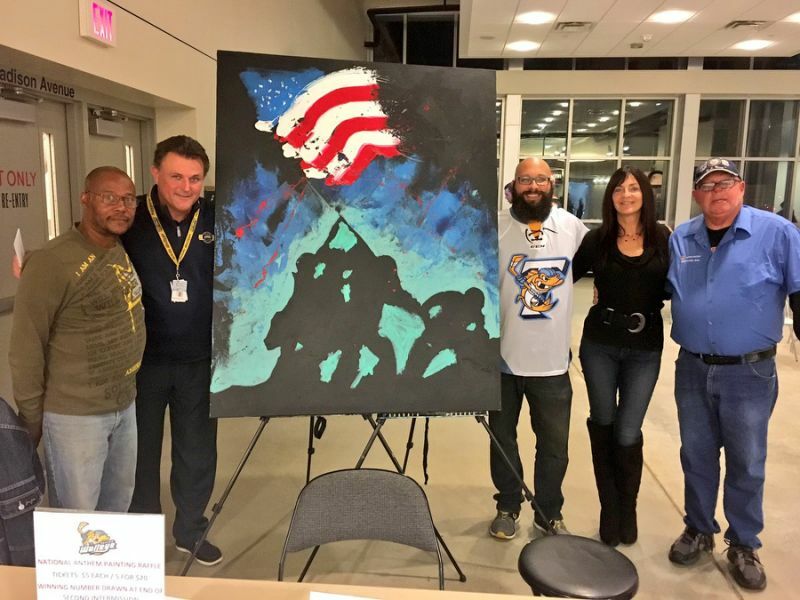 Amid hurried strokes of brilliant colors and a flip of the canvas that held his art, Everson was met with wonderment and applause as he showcased the masterpiece – a military painting showing soldiers raising the US flag at Iwo Jima. The performance was not Everson’s first and it won’t be his last. A visit to his website will reveal that he does this show for free…so long as certain demands are met. FOX Carolina spoke with the multi-talented star Sunday. Despite all the fame he’s been receiving, he remained humble when he spoke with FOX News about what he does that draws swathes of fans.